There's a new feature afoot! 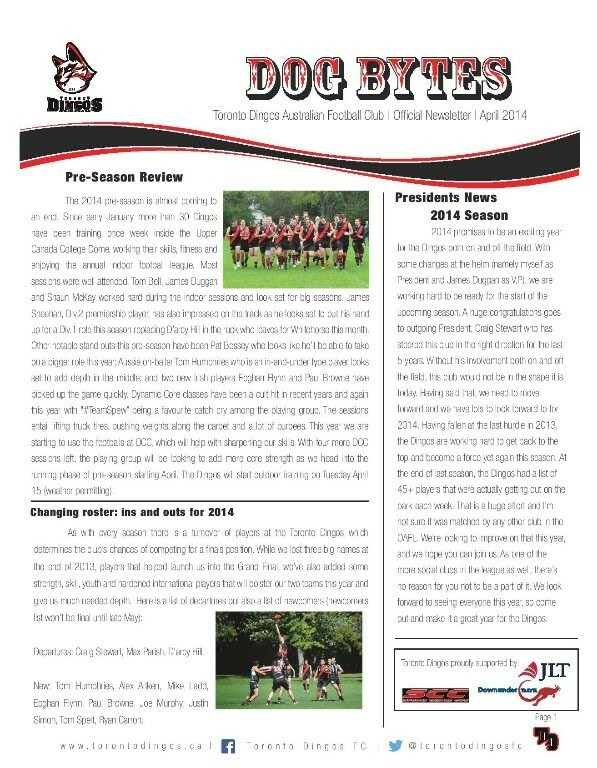 The Toronto Dingos are proud to present the first edition of Dog Bytes, a new monthly newsletter for the many proud supporters of the Red and Black. The newsletter is jam-packed, featuring some roster updates, news of the club (ie. 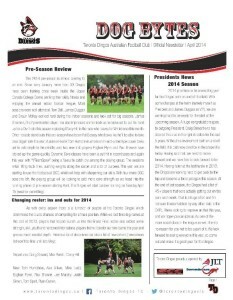 our recent Presidential change), words from Coach Justin Robertson, a player profile featuring Tim McKay, as well as some great opportunities from our proud sponsors Downunder Travel and a forecast for upcoming Dingo social events. To the left is a glimpse of the front page, but CLICK HERE for the complete, four-page feature put together by Mick McFarlane and Justin Robertson.